ROCHESTER, NY – Web Seal fabricates custom thermal management materials manufactured by Bergquist, Chomerics, Kerafol, 3M, MHW, and Chang Sung for a wide variety of industries, including automotive, communication, defense /aerospace, textiles, food processing, chemical industries, and medical instruments. With advances in electronics, thermal management is especially critical due to growing technical demands. Thermal management materials, custom-fabricated by Web Seal, offer a range of features to meet your specific product needs, including self-adhesion qualities and the ability to add pressure-sensitive adhesives, which aid in ease of assembly. “Soft” sheets with a standard thickness of 0.5-5.0mm offer self-adhesion, low hardness and high incombustibility. “Super Soft” types have excellent self-adhesion properties and ultra-low hardness. Fiberglass reinforced heat dissipation sheets are ideal for areas requiring high tensile strength. 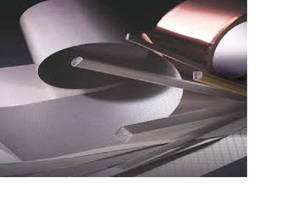 They also feature excellent insulation and high thermal conductivity, typically with a standard thickness of 0.3-1.0mm. 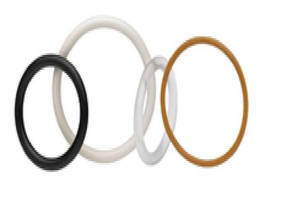 Web Seal provides precision-engineered sealing solutions for a wide variety of industries and businesses. With a hallmark tradition of excellent customer service for more than 50 years, Web Seal is ISO and ITAR registered and an SBA-certified Small Business. For more information, contact sales at (800) 366-1320 or http://www.websealinc.com/thermal-management-seals.html. Metal Matrix Composite enhances thermal performance.